KUALA LUMPUR: A CONSORTIUM of China’s high-speed rail design, development and construction companies comprising China Railway Construction Corp Ltd (CRCC), The Third Railway Survey And Design Institute Group Corp (TSDI) and CSR Qingdao Sifang Co Ltd is hopeful of clinching the multi-billion ringgit Kuala Lumpur-Singapore high-speed rail link (HSR) project. 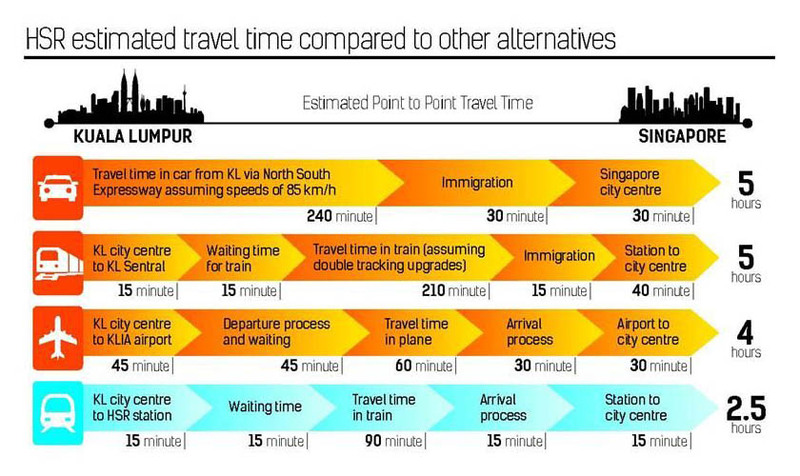 Dubbed South-East Asia’s most ambitious infrastructure project and the region’s first HSR, the 340 km link will reduce the journey over land between the two neighbours to 90 minutes from about six hours. The proposed link is expected to benefit both countries economically with better connectivity and development opportunities, ease traffic congestion and improve liveability in its major cities. Malaysia’s Land Public Transport Commission (SPAD) chairman Tan Sri Syed Hamid Albar had said the project might take six to seven years to complete once construction starts by 2016. “We have been given the timeline (to complete the project) by 2020 and our target is for construction to begin next year. 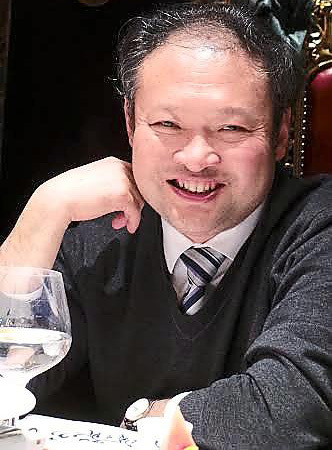 Construction will likely begin in the third quarter of next year,” he was quoted as saying after attending the International High-Speed Rail Conference: High-Speed Rail Accelerating Toward the Future in Tokyo on Oct 22. Syed Hamid said the exact date would depend on the outcome of the meeting scheduled for early next year between the two governments to finalise the details. He said both governments were expected to ink an agreement on the project, reportedly to cost RM38.4bil, which included the purchase of locomotives and high-speed bullet trains. Two committees – Technical Committee and the Joint-Ministerial Committee – have been established to oversee the project. Seven stations had been identified, namely Kuala Lumpur, Putrajaya, Seremban, Ayer Keroh, Muar, Batu Pahat and Nusajaya. The project is one of the entry point projects listed under the Economic Transformation Programme aimed at improving the economic dynamism of Malaysia’s capital city and liveability ranking relative to other global cities. At a reception for a media delegation from Malaysia, Thailand, Indonesia, Singapore and Brunei at CRCC headquarters in Beijing recently, CRCC chairman Meng Fengchao says the Chinese consortium comprises top-notch industrial experts in HSR technology with proven track record of building rail links of up to 350 kph. “We have built up the world’s leading technology in HSR and look forward to submit our bid for the project including the pre-qualification process and meeting all the stated requirements,” Meng adds. "Excellent customer service is always our goal". TSDI director of overseas business development Guo Weidong says that as an industry leader in survey and design of railways, urban mass transit system and highways, TSDI has the competency and capability to design the most technologically-advance, optimum and competitive system for the Kuala Lumpur-Singapore HSR. “We will ensure the project reaps maximum benefits and contributes positively to the growth and development of the whole corridor along the HSR project,” Guo says. TSDI is an engineering design consulting company that pursues innovation in railway technology and design so that the enterprise has strong cohesion, execution and operational effectiveness. CSR Qingdao Sifang Co deputy president Ni Shengyi is confident the company’s expertise in manufacturing railway locomotive and rolling stock products, including high-grade passenger coaches and high-speed electricity multiple units (EMUs), will make significant contribution to ensuring great comfort, stability and safety of the commuters. “Excellent customer service is always our goal. We have been providing customers with quality products and services in supplying various fittings and components of high-speed rail and EMUs, manufacturing and refurbishing of all types of passenger coaches, and development and manufacturing of railroad vehicles. “We adopt first-class technology, manufacture high-quality products and train our employees to provide users with the most valuable green products and social responsibility,” Ni adds. The five Malaysian journalists who had the chance to commute on the Beijing to Tianjin InterCity Rail which took 45 minutes for the 117km journey, and Zhengzhou to Beijing (three hours plus, 693km) routes have given their thumbs up for the comfortable, smooth, safe, stable and on time rides. When the Beijing-Tianjin line opened on August 1, 2008, it set the record for the fastest conventional train service (at 330 kph) in the world by top speed, and reduced travel time between the two largest cities in northern China from 70 to 30 minutes. According to CRCC’s Meng, clinching the Kuala Lumpur-Singapore HSR project will propel CRCC closer to its goal of becoming China’s leading construction group and the world’s most competitive and largest construction group. It is the largest engineering contractor in China leading in project design and construction of plateau railways, high-speed railways, highways, bridges, tunnels and urban rail traffic systems. He says CRCC has designed more than 70% and constructed more than 60% of China’s HSR links, giving it solid technology accumulation, proven expertise, scientific management system and a strong management team. 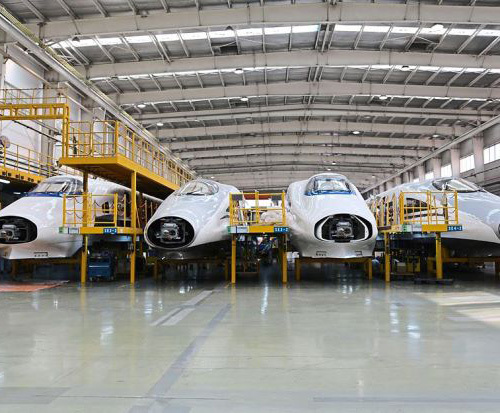 It started out as the Railway Engineering Corp, a branch of the Party Liberation Army back in 1948, and has grown into the fastest growing global contractor with presence in 77 countries and more than 580 ongoing overseas projects worth some US$70bil. For the past five years, revenue from overseas projects surpassed US$16bil. In 2012, it established its Malaysian branch, CRCC Malaysia Sdn Bhd. CRCC was listed on the Shanghai and Hong Kong stock exchanges on March 10 and 13, 2008, respectively, with a registered capital of 12.3 billion yuan. According to Meng, CRCC is one of the world’s largest integrated construction group, ranking 80th among the Fortune Global 500, and sixth among China’s Top 500 Enterprises. 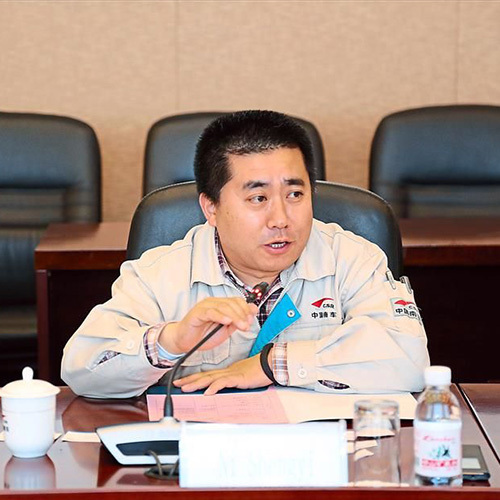 “The business areas of CRCC covers project contracting, survey design consultation, industrial manufacturing, real estate development, logistics, trading of goods and materials, as well as financial capital operations,” Meng discloses. CRCC has morphed from construction contracts into a complete and comprehensive industrial chain of using scientific research, planning, survey, design, construction, supervision, maintenance and operation works to provide one-stop integrated services. Among its signature projects are Wuhan-Guangzhou HSR, Beijing-Tianjin intercity HSR, Ningbo-Taizhou-Wenzhou HSR, Beijing-Shanghai HSR, Nanjing Yangtze River Tunnel, Xiamen Xiang’an Undersea Tunnel and Qingdao Jiaozhou Bay Undersea, Metro light rail in Mecca and West Ring Express Trunk Road of Suzhou City. It has also constructed more than 100 motorways for a total of 22,600 km and one of its feats is building underwater tunnels in the Yangtze River stretching 7.68 km.